The Instituto de Desenvolvimento de Novas Tecnologias (UNINOVA) is a multidisciplinary, independent and non-profit research institute employing around 180 persons, located in the metropolitan area of Lisbon. It was formed in 1986 by the Faculty of S&T of the University Nova de Lisboa (FCT-UNL – www.fct.unl.pt), a group of industrial associations, a financial holding and up to 30 companies. It is an active partner of Madan Parque (www.madanparque.pt), a business facilitator and accelerator, incubating Micro and SME’s through several layers of support to entrepreneurial activity. The main aim of UNINOVA is to pursue excellence in scientific research, technical development, advanced training and education. By working closely with industry and universities, technological innovations are transferred into profitable business concepts and, existing products further developed to match new industrial requirements. 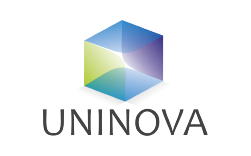 Due to its tight connection with the University and Madan Parque, UNINOVA has, since its foundation, hosted and supported the development several PhD thesis, as well as the creation of several successful spin-offs.